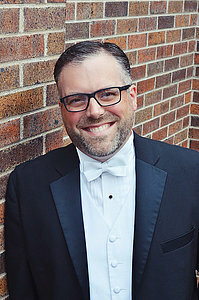 Norsemen is one of six auditioned choral ensembles at Luther College and is conducted by Mark Potvin. Established in 1981, the group is comprised of first-year tenors and basses, selected each fall and spring by audition. The ensemble participates in worship services, performs at the Family Weekend concert, participates in Christmas at Luther and Dorian Vocal Festival, and presents an annual spring concert with Aurora, Luther's choral ensemble for first-year sopranos and altos. The choir has also participated in Luther College performances of major choral/orchestral works, such as Beethoven's Mass in C major and Bach's The Passion According to St. John. Norsemen has performed at North Central American Choral Directors Association conferences and has been the guest of the Great Northern Union at the Collegiate Men's Choral Festival in St. Paul, Minn. Norsemen are featured on annual Christmas at Luther recordings which are available through the Luther College Book Shop. Norsemen rehearses MWF from 1:30 to 2:30 p.m. in the Noble Recital Hall. Norsemen maintained by Kristin Bjerke. Page last updated on 16 April 2019.